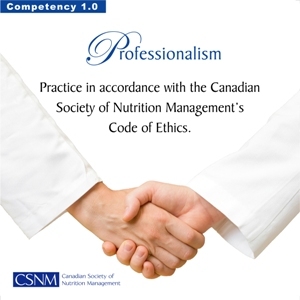 To become a member of The Canadian Society of Nutrition Management, applicant's must meet one of three membership requirements. 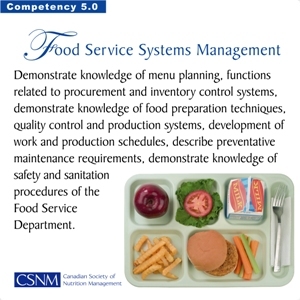 Completion of a CSNM accredited college diploma in Food Services/Supervision/Technology/Management. 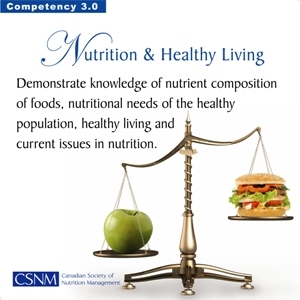 Completion of a CSNM accredited home study program. 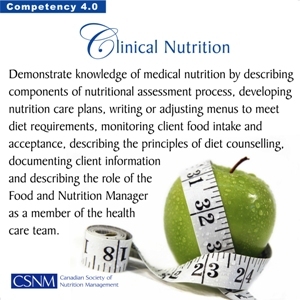 Completion of a program which is subject to approval of the Board of Director's of the Society (including studies in diet therapy/human nutrition, adequate supervisory experience, plus successful completion of the CSNM entrance exam). 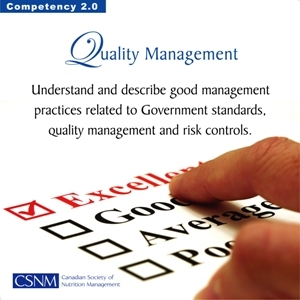 When CSNM accredits a college or home study program, the accreditation team works to ensure that all aspects of the 8 competencies are met in the program’s curriculum. 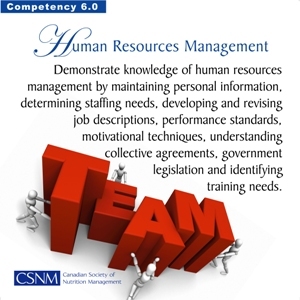 This ascertains that all graduates have a strong base knowledge in each area. The same criteria is used to review applicant’s applying under criteria #3. 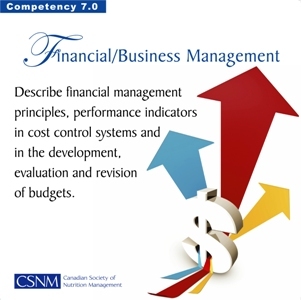 The concept of CSNM's Continuing Education Program is to support members in maintaining the skill set of the 8 core competencies while building on new proficiencies. 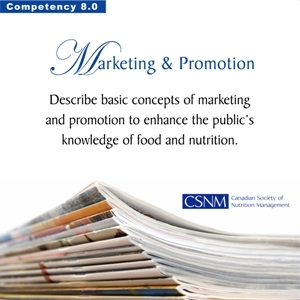 Active members with the CSNM must attain a minimum of 8 continuing education points, 1 in each of our core competencies every year in order to renew their annual membership with our Society.